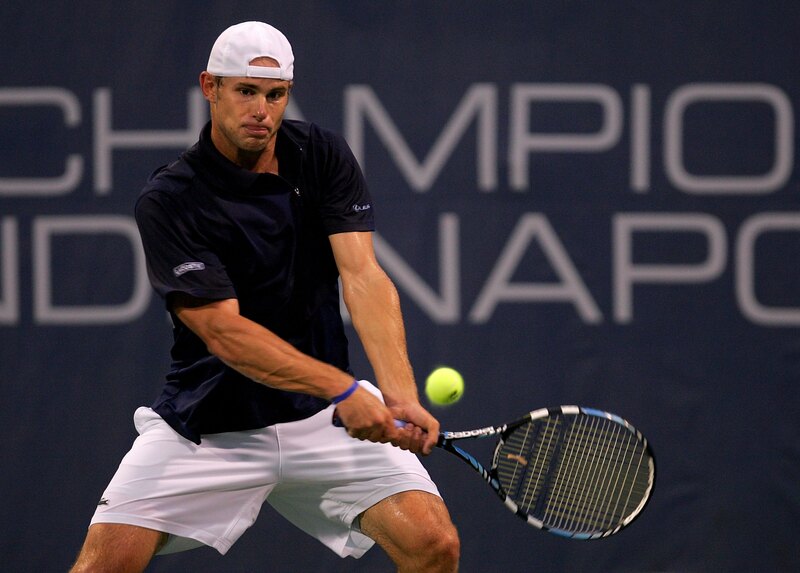 INDIANAPOLIS (AP) -- Second-seeded Andy Roddick beat Jeff Morrison 7-6 (4), 7-5 on Thursday night in the RCA Championships to set up a quarterfinal match against Gilles Muller, the player who edged Roddick in the first round of the U.S. Open last year. Roddick said he hoped to redeem himself against Muller as he seeks to capture the RCA title for the third time in four years. Muller, seeded 12th, routed Denmark's Kenneth Carlson, 6-1, 6-2. Top-seeded James Blake and defending champion Robby Ginepri also advanced. Blake beat Wesley Whitehouse 6-7 (5), 6-3, 6-4, and the fourth-seeded Ginepri topped Igor Kunitsyn of Russia 6-2, 6-7 (2), 6-1. Blake had 19 aces and won 37 of 43 first-serve points. And he held on, watching a 5-1 lead in the third set shrink to a single game before prevailing. Blake will play 10th-seeded Nicolas Mahut of France. Mahut ousted fifth-seeded Tommy Haas of Germany, 6-4, 7-5. Mahut had 12 aces against a frustrated Haas, who had five double faults and threw his racket numerous times. Ginepri will meet eighth-seeded Paradorn Srichaphan of Thailand. Srichaphan staved off three match points to beat 11th-seeded Paul Goldstein 5-7, 6-3, 7-6 (3). In other matches, third-seed Fernando Gonzalez of Chile beat No. 14 Vince Spadea 6-4, 7-6 (7), and ninth-seeded Xavier Malisse of Belgium defeated seventh-seeded Dmitry Tursunov of Russia 7-6 (4), 3-6, 6-3.